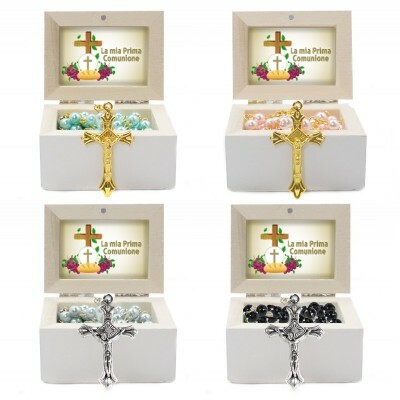 Wooden box There are 15 products. 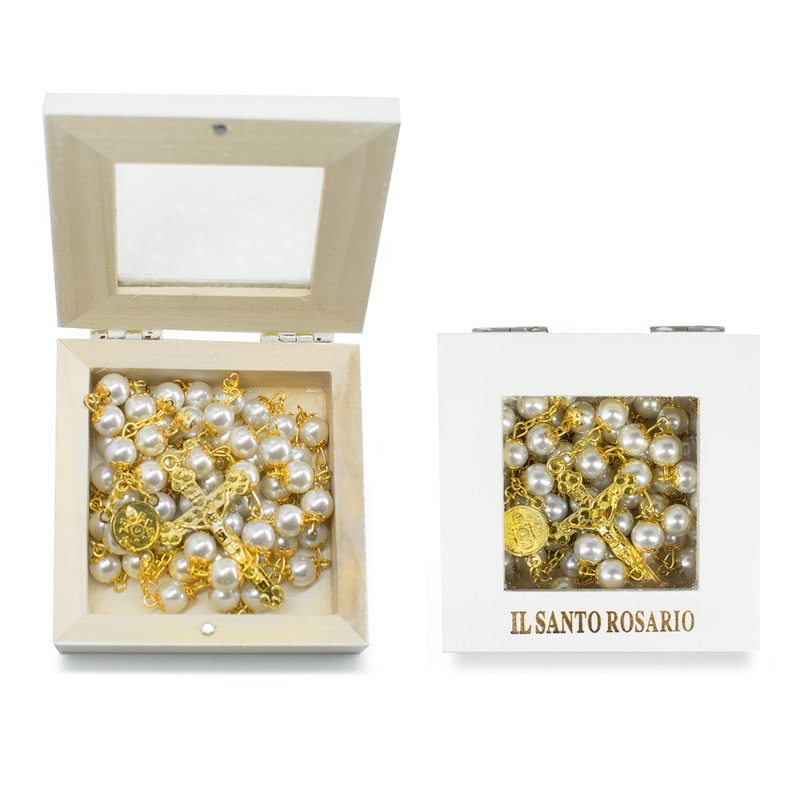 wooden box with glass rosary , white color and written " Holy Rosary " golden . 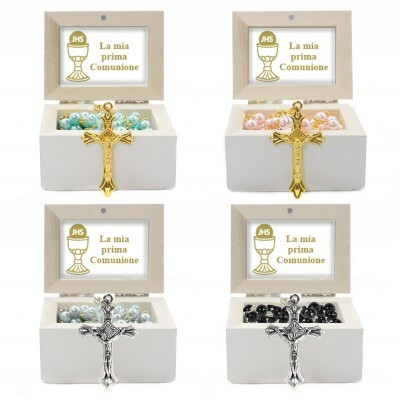 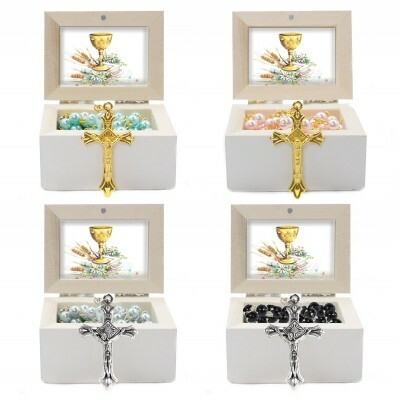 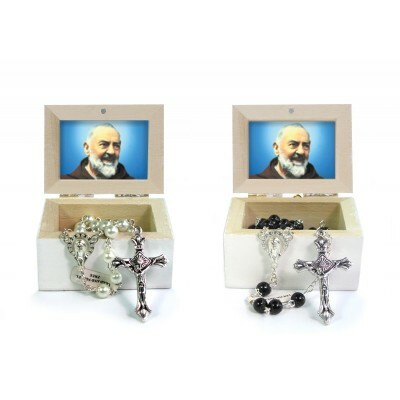 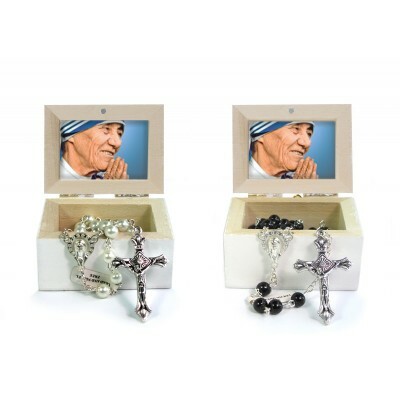 wooden jewellery case with glass rosary (black, white) and written " JHS " golden .